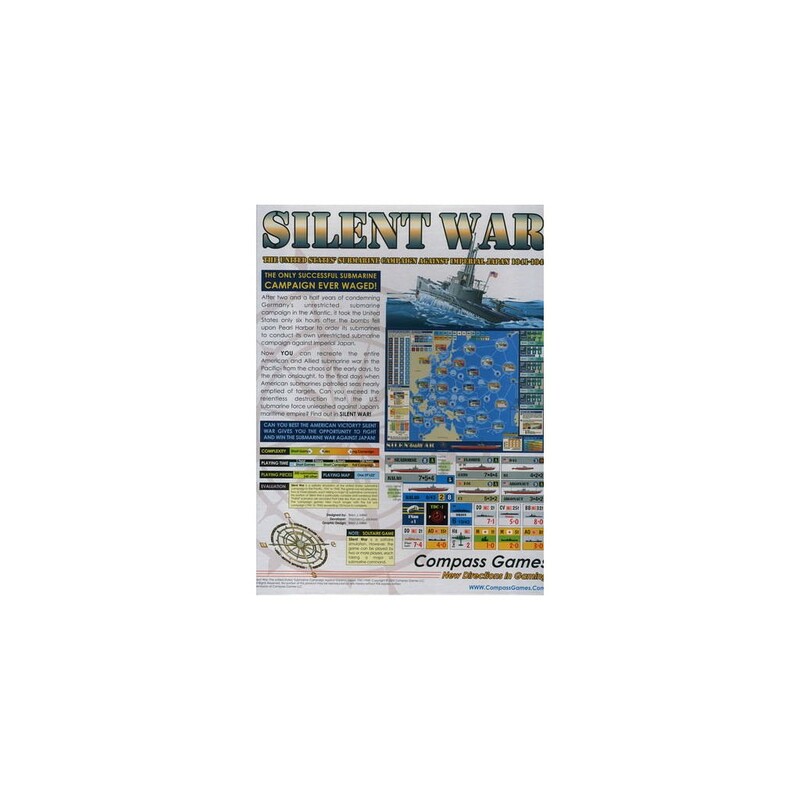 Silent War is a solitaire simulation of the United States' Navy submarine war against Imperial Japan in World War Two. You serve as Commander of Submarines, US Pacific Fleet (ComSubPac). Your mission is to deploy your boats with maximum effect to destroy Japanese shipping, while limiting your own submarine losses. 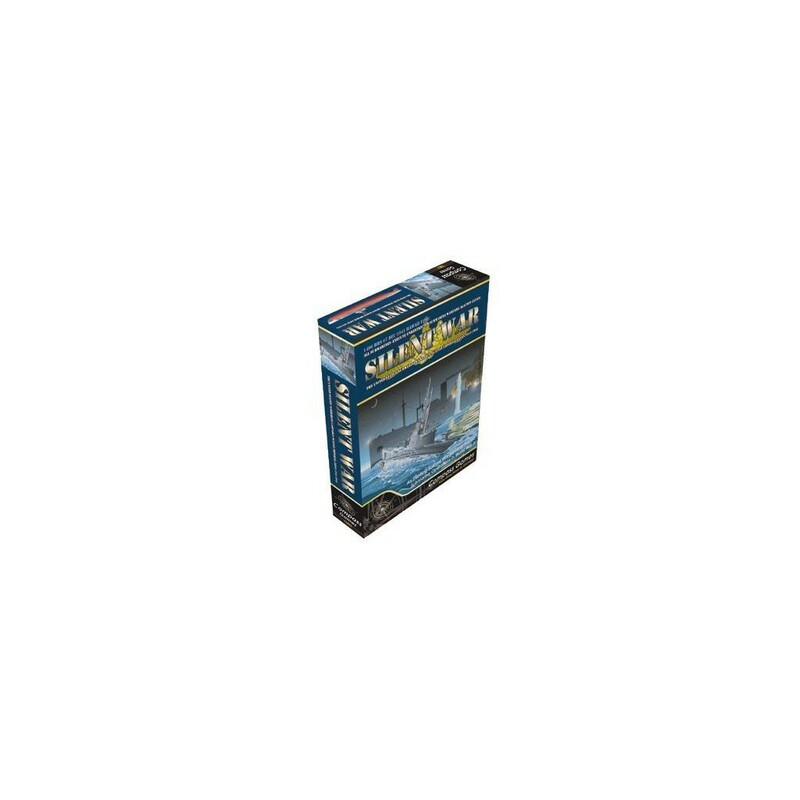 Featured scenarios cover actions ranging from famous short single sub patrols, through small campaigns of about a year of the war, ending with the grand campaign covering the entire Pacific War. The game map breaks the Pacific into Operations Areas that subs move through as they patrol in search of Japanese shipping. Special rules feature historical events that occurred during the war, ULTRA intelligence information reports, torpedo quality improvements, wolfpack capabilities, Super-Skippers, and many others. Every US sub deployed in the Pacific is represented with its very own counter. All subs have been meticulously and accurately drawn, and shown from their side in full-color. Selected by GAMES Magazine as the 2007 Historical Game of the Year. 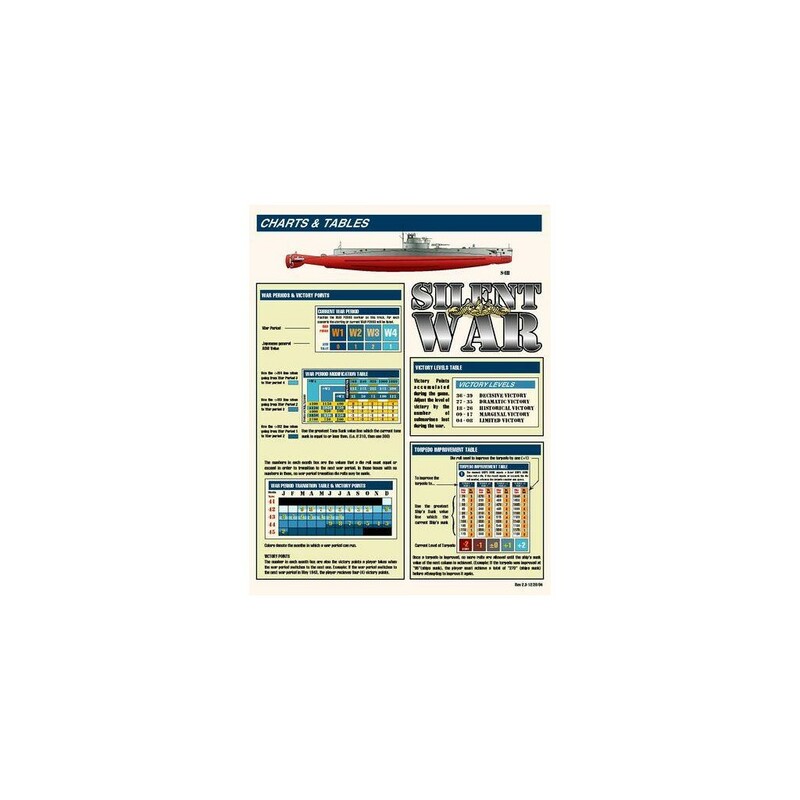 5 counter sheets, mounted, die cut and full color printed on both sides: 3Â½ sheets of long (1.3" x 0.65") submarine counters 1Â½ sheets of large (0.65" x 0.65") counters.